poetics, motion X cultures @GWDHI"
Do we send someone to push through protestors and fight the TSA to get our transnational scholars to the conference? Could we even get anywhere close? Would there still be a conference? These were all serious questions our conference committee (Jonathan Hsy, Alexa Huang, Haylie Swenson, and myself) were forced to consider late one January evening. The Muslim Ban had been announced earlier in the day, halting transport from seven countries but also slowing, stopping, and confusing travel of all varieties of people in the United States. Trump had signed the executive order with immediate effect but few knew exactly what to do or how to handle the number of situations with uncertain standings and outcomes. In response to the Ban and its damaging effects, protestors had gathered at major airports. What made the event stranger to me was that I was caught in the middle of it without knowing exactly what "it" was. 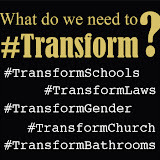 In the days immediately prior, I had legally changed my name and gender marker at a series of government agencies across Illinois. During these personal life changes I was busy working on the conference website and following up with hotels for the various guests. Between getting my bags packed, grabbing food on way to the airport, then pushing through security, I had not given much to any attention to what was going on politically. I knew that Trump had signed a new executive order that was making a lot of people upset, but as in the campaign, the horrible news had all began to blend together. It was entirely possible some of this was bleed over from the news from the last few days of executive orders. It was not. The first sign that something was going on occurred when I was going through security. While I'm no stranger to strange and unnecessary interrogation from TSA agents on account of being transgender, this time I was being grilled not on who I was but where I was going and why. I was going home I told them. I live in Connecticut. Yes, I'm aware that my flight is going to Boston. Flights to Boston are three to four times cheaper than flights to Hartford, CT. Yes, that is outrageous. Yes, I do think it is a small airport in Hartford. Thank you, I am looking forward to seeing my family. No comment on whether or not I will have a good night. Once I got through to the other side of the TSA, I took a seat and opened my e-mail. Another urgent request for the website. As I paid for internet (the free 30 min was hardly enough to go through my e-mail and make replies) and got to work. After I made the changes, I turned on social media. Suddenly my unusual interrogation by the TSA agent began to make more sense. As I began to understand the gravity and widespread impact the Muslim Ban was successfully having I began contacting the other conference organizers. Over the night and for the next weeks were would monitor the situation closely. As stays were assert and the courts finally halting the ban for the time being, we began to be more cautiously hopeful that at very least the conference would still be occurring. Still, contingent plans had to been written up and a series of terrible scenerios imagined as we tried to prepare for the fallout our government's actions would have on our work and the intellectual community at large. 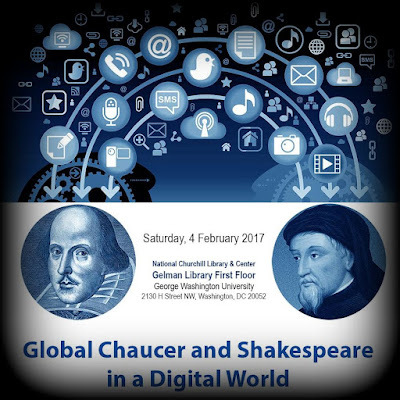 Approaching the date, the significance of our Global Chaucer and Shakespeare conference took on a larger and more pressing significance. 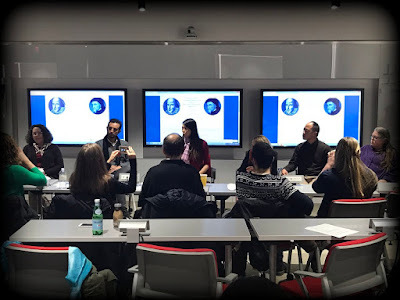 As the U.S. government warred with the Justice Department and the public over borders, the GW Digital Humanities Conference became living evidence on the importance of transnational networks that resisted, span, and destabilized borders. 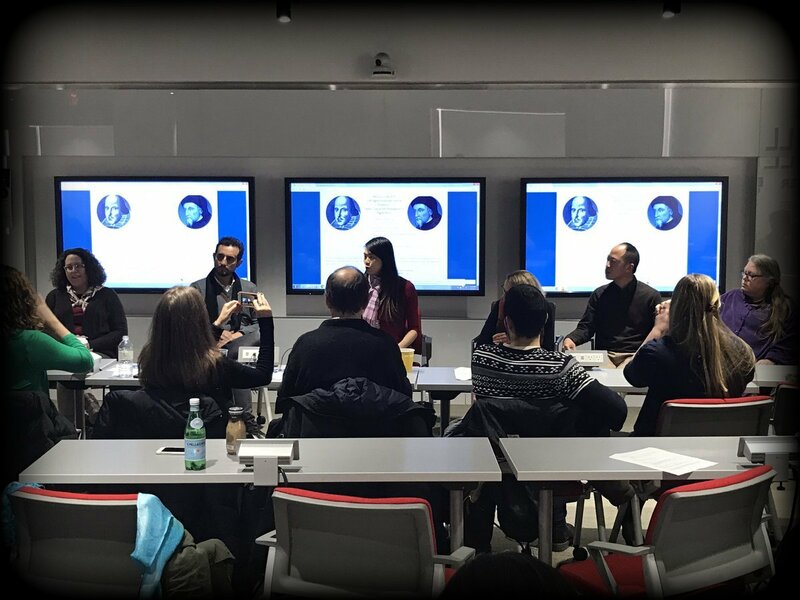 While most of the conference was carried out in English, once all the organizers and invited speakers were collected in the GW Gelman Library, our community consisted of over a half dozen nationalities and even more language groups, including a few dead languages. Counting those who participated in the conference online via live-tweeting (#GWDH17) the number of countries and language present cannot be readily tallied. What arouse in the subsequent conversations was not only a sharing of distinct cultural locations but a mutual sense of transnationalism. Michael Saenger interwove stories of his travels between the U.S. and England throughout the day's entertainment. Eve Salisbury discussed what it meant to teach students and work with speakers along the border of the United States and Canada. As borders become less permeable, the ability to slip into Canada to take a shortcut to the medieval conference in Kalamazoo, Michigan, becomes more perilous. Indeed, in the wake of the recent Ban and shift toward white nationalism in the U.S. government, boycotts of U.S. hosted international conferences are being planned. The American academics at the conference applaud the activism and wonder what effects such boycotts will have on these future conferences. For this weekend, however, we were all together to consider and plan how to use transnational technologies and humanities to build up global communities even as institutions assert greater divisions and borders. Among the language groups in active use in the conference was American Sign Language (ASL) as translators and speakers addressed the audience in a variety of modes. Following the question of access, as well as Carol Robinson's discussion of "Chaucer and Shakespeare in the Deaf World: Transcriptions and Interpretations," Jill Bradbury added insights on how to make literatures like Chaucer and Shakespeare accessible to a wider range of audiences, especially among the Deaf community. Key to this discussion was the dialects and performances of sign language in different versions of Shakespeare. Those who attend to the American Sign Language translations the words being verbally spoken on stage will discover how much they add to and define the performance. When Shakespeare is done in part or entirely in ASL the plays take on new ranges of expression and meaning. ASL Shakespeare continually builds on the combined talents of performer and translator. Robinson affirmed how her students worked at the intersection of translation and adaption when creating American Sign Language versions of Chaucer's The Wife of Bath. Because ASL relies on embodied cues, each translation carries significant bonds with the performance. Certain gestures and facial expressions make the signs clearer or add further meaning. As a result, another person telling the same story in ASL would likely end up creating their own adaptation of the performance even as they stayed faithful to the same text. Indeed, when the conference broke for food, the conversation continued. I got to speak with Katherine Schaap Williams over salad and wraps on how disability and diverse embodiments interpenetrate all our global networks. While languages and codes shift, technologies are replaced by newer models, from medieval to modern society, history continues to play out the dialectical battle of access and boundaries. Out of this arouse a shared sense of the pressing need to be conversant in multiples historical eras, networks, and modes of communication. 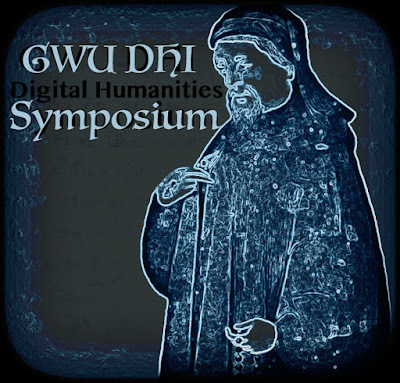 Following the insights from the World Shakespeare Bibliography Online (Laura Estill) on "What's In and What's Out," The Global Shakespeare Project (Alexa Huang) shared the roundtable with the Global Chaucer Project (Candance Barrington and Jonathan Hsy)resulting in some good-spirited competition and a sincere collaboration in asserting the transnationalism of these key literary figures. The entries in the Global Chaucer Project attest that the Canterbury Tales did not only travel across London but across Argentina and Brazil. 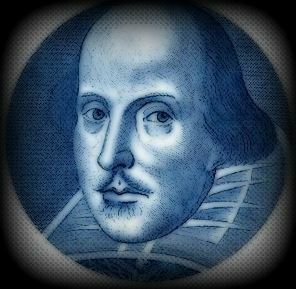 Shakespeare not only spoke English and French but Portuguese and Spanish in Central and South American Dialects. 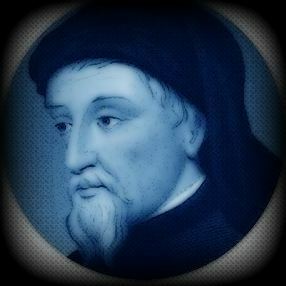 By allowing Chaucer to become provincial in China or Russia, at home in their language and culture, his words become transnational. Of course, the challenge of curating such archives is determining "what is in and what is out." For Global Chaucer, this has more to do with labor and feasibility. In general, explained the directors, they do not say, "no." What they are more likely to say is, "how?" or "can you help get this done?" As a result, contributors take a hand in constructing the archive and not merely adding content to it. On the other side, Global Shakespeare admitted that due to feasibility issues, they are forced to be more limiting in what they will host. So many performances and adaptations of Shakespeare are made every year that archiving all of it with the limited workers and technology available would bring the network to a stand still. As a result, Global Shakespeare requires a performance to be released on television or film and available on an accessible recording. After all, said Global Shakespeare, there are other sites currently at work documenting and archiving other forms of performance. One archive does not need to do it all. In the end, the good is better than the perfect because it effects more change. By providing a growing range of editions for readers of Chaucer and Shakespeare to explore, more global adaptation, reading, and community will be produced by those who follow these authors as they migrate and find refuge around the world. The roundtable concluded on a thread began in the insights of Fundación Shakespeare Argentina (Mercedes de la Torre and Carlos A. Drocchi), and the featured speaker and translator, José Francisco Botelho, who explored how Chaucer and Shakespeare became Brazilian in the process of making Portuguese editions of their works. For instance, common brown birds like larks do not mean the same thing in Brazil as they do in England, so other birds are named. The meaning of a play or the Canterbury Tales stays the same, says Botelho, only by changing some of the details. A lark becomes unusual and foreign if used in a Brazilian context. A common brown bird from Brazil on the other hand gives a sense of people on pilgrimage not too far from home. As a result, Canterbury begins to feel a bit more like it is located in some out of the way place in South America. Chaucer begins walking out of London and may find himself listening to birds and walking over a stream in Brazil. As a translator, Botelho finds himself having to make more alterations or additions to the text in Shakespeare plays because of their genre as a performance text. Consideration has to be given as to how actors might interpret the lines to make the most out of them for a local Brazilian audience. As much as he could, the translator would stick with a direct translation but often enough the meanings didn't have the same one to one connection as the words. Some direct translations would require a wider understanding of English culture, environment, and history in order to make full sense of them. These demands are less problematic in written texts such as Chaucer's. In Shakespeare's plays this additional historical context can be clunky. These changes were important, explained Botelho, "because jokes aren't funny if you need a footnote to explain them." The Global Chaucer and Shakespeare Conference was a bitter sweet event not only because of its resistance to the wider U.S. political position but also because it signaled the last event Haylie Swenson and myself would be organizing for the GW DH Institute and GW in general. Both of us will be finishing our Ph.D's and moving on to other pastures by the end of the year. Speaking on our behalf, we are grateful for the fellowship of directors Jonathan Hsy and Alexa Huang, as well as the wider network of scholars, translators, and digital humanities the Institute has allowed us to engage as members. 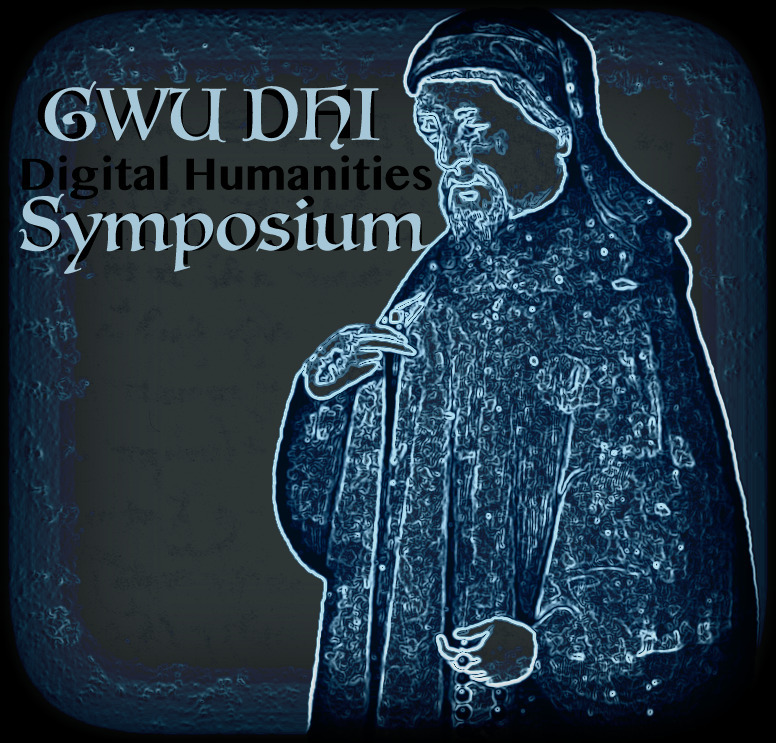 Moving forward, we will remain a part of the DH Institute's wider network but after this academic year will be less involved on the day to day work. Too often the value of day to day work is underrated and remembered only in recollection. Our heads are down and focused on the work in front of us. A lot happens over computers, skype meetings, and sitting around an Indian restaurant with invited guest. Personally, I'm grateful for the role each of those moments had in us laying the foundations of an excellent Institute, some cutting edge conferences, and in building up movements of resistance, reform, and revolution. Thank GW DH and let's keep this going. The work isn't done yet!